Wonderful unique hand carved cherry long handled tea spoon. The long handle makes it a perfect choice for mixing that tall pitcher of iced tea. Or martinis. Your choice. Can also be used for jam or jelly spoon. 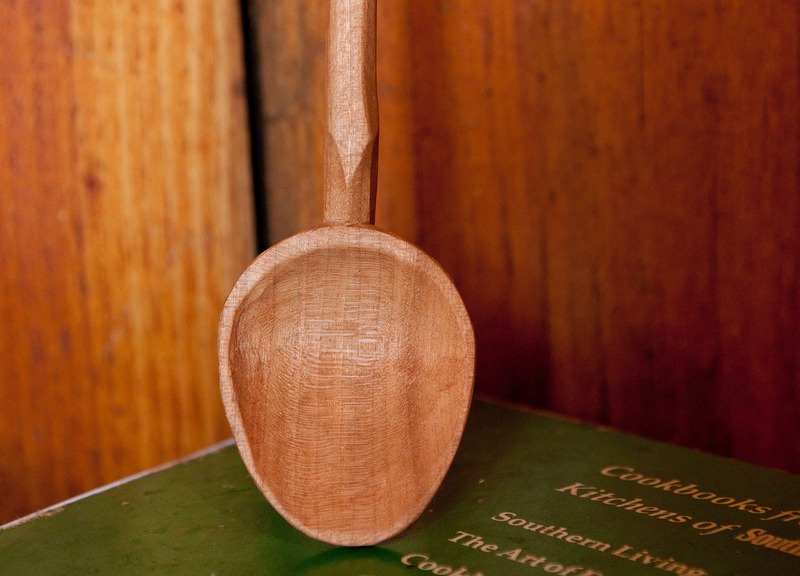 Carved from a solid piece of cherry heartwood, this spoon has rich color and terrific grain. Spoon measures 11" overall with a 2" X 1.5" bowl. 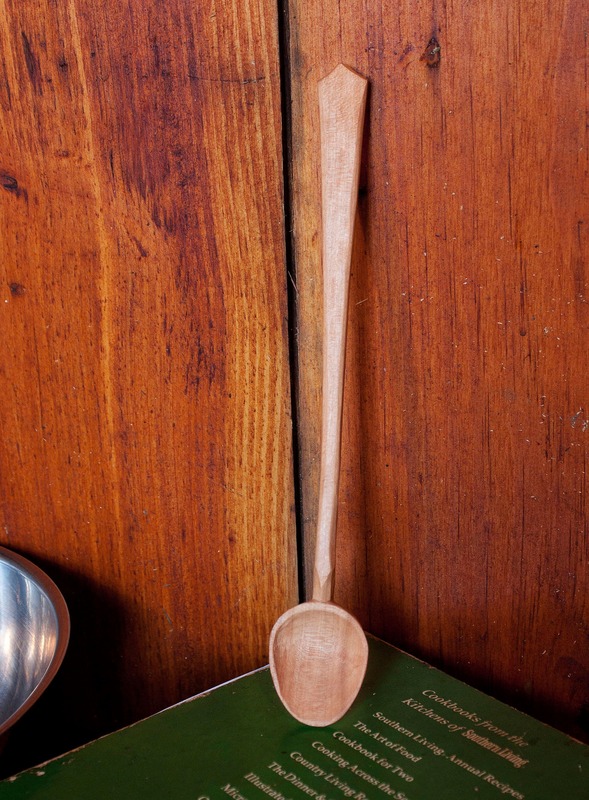 All my spoons are made by using traditional spoon making methods. Starting with fresh wood, I use nothing but ax, draw knife, straight knife and hook knife. Since no saws are used, the wood is cut with the fibers of the wood, making a much stronger spoon and gives a smooth knife surface. A paste of beeswax, mineral oil and walnut oil is applied then each spoon is burnished with a deer antler to a hard smooth finish. Each of my spoons are one of a kind unique and are heirloom quality guaranteed to last a lifetime! DO NOT wash the spoon in the dishwasher. Hand washing only! 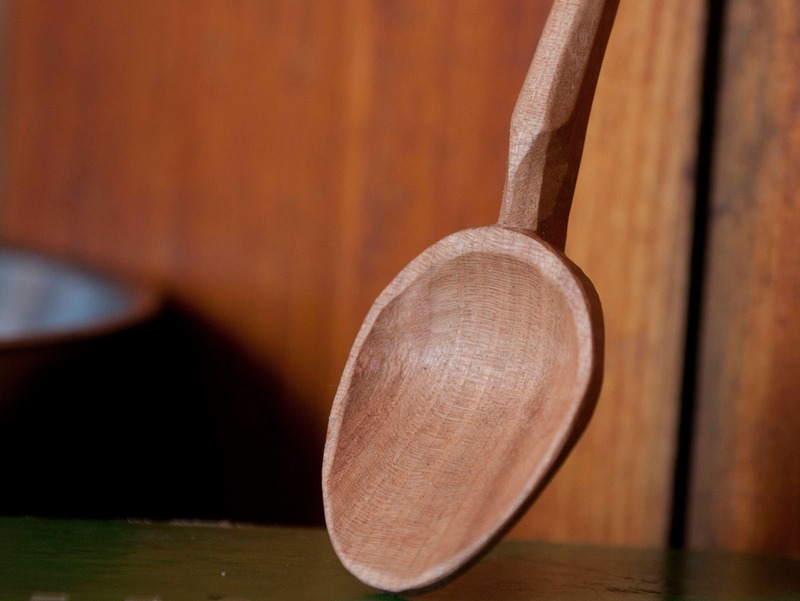 Apply mineral or walnut oil to the spoon every few months to restore its original shine.